Here at Smashing The Glass, we are massive Etsy fans. Whatever your wedding style and budget, the global online marketplace for unique handmade and creative goods has got something for you. With so many unique items, it’s the perfect place to snag some special touches to help make your day totally you. From invitations to decorations to favours and so much more, Etsy’s got you covered. 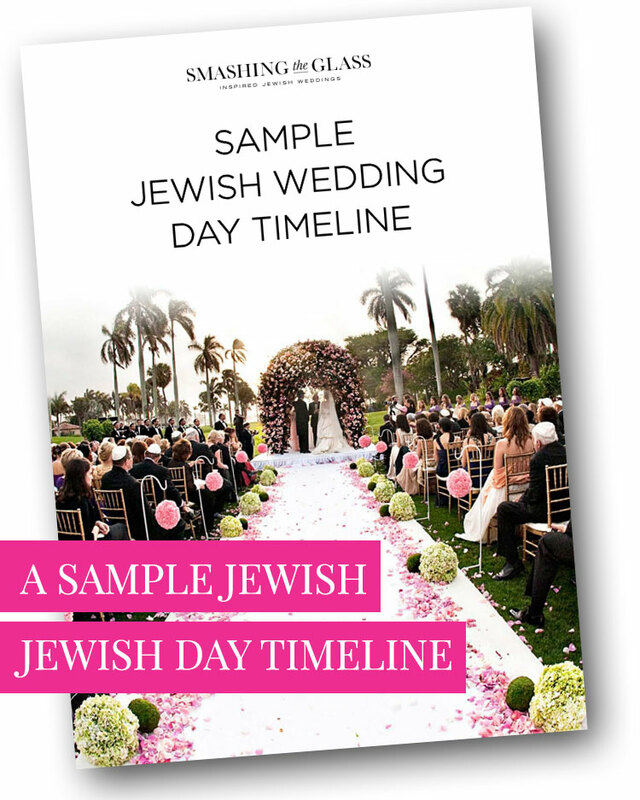 Today, we’re thrilled to be featuring a selection of some of our favourite Etsy products for Jewish (and Jew-ish) weddings that we personally adore. From flip flops to hand out to your guests to the loveliest floral lolly favours to beautiful order of service programs, we can’t wait to share our latest finds with you. Oh yeah, and did we mention that our very own super stylish Smash Glass Pouches for under the chuppah are now available as a standalone purchase on Etsy, too?! That’s right, the days when your only options for wrapping your smash glass in a napkin or stodgy old velvet pouch are gone, thanks to this contemporary and oh-so-Instagrammable option! We’re also delighted to announce that Etsy is running a competition on their Instagram channel, open to all UK STG readers, to win a £500 gift card! For full details, please visit @EtsyUK on Instagram (#EtsyWeddingStyle). One winner will win a £500 gift card for Etsy.com. To enter, follow @EtsyUK’s Instagram account, like this post, and comment answering the question, “What’s your wedding style?” No purchase necessary. Open to UK residents 18+ only. 1 prize available. Ends June 5th. T&Cs apply. How beautiful is the art on this order of service?! 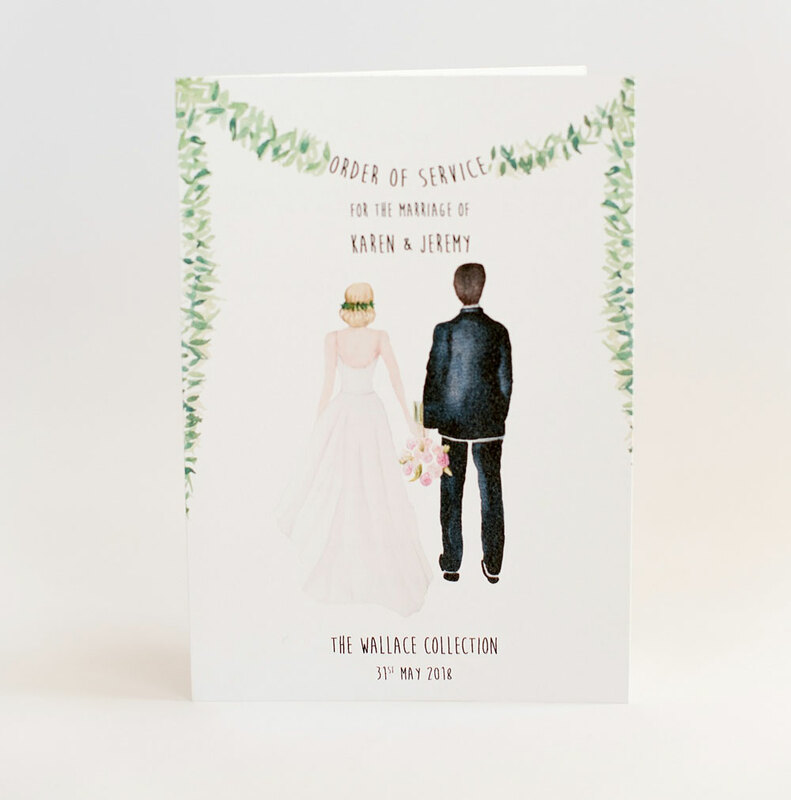 A custom-illustrated order of service is such a special memento of your day. 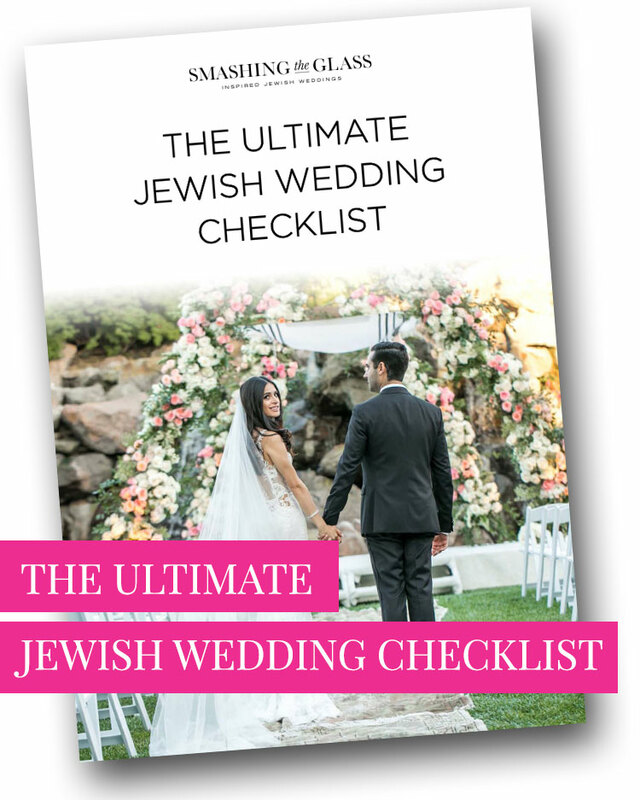 Plus it is so helpful for any non Jewish guests you have at your weddings as you can include explanations of the Jewish wedding traditions they might not be familiar with. How can something so cleanly designed by simultaneously bilingual? 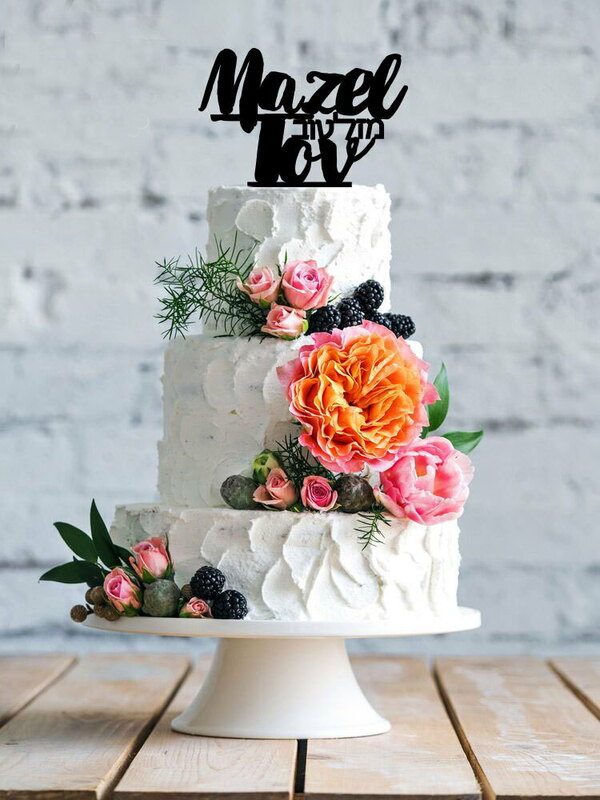 We love this ‘mazel tov’ cake topper. 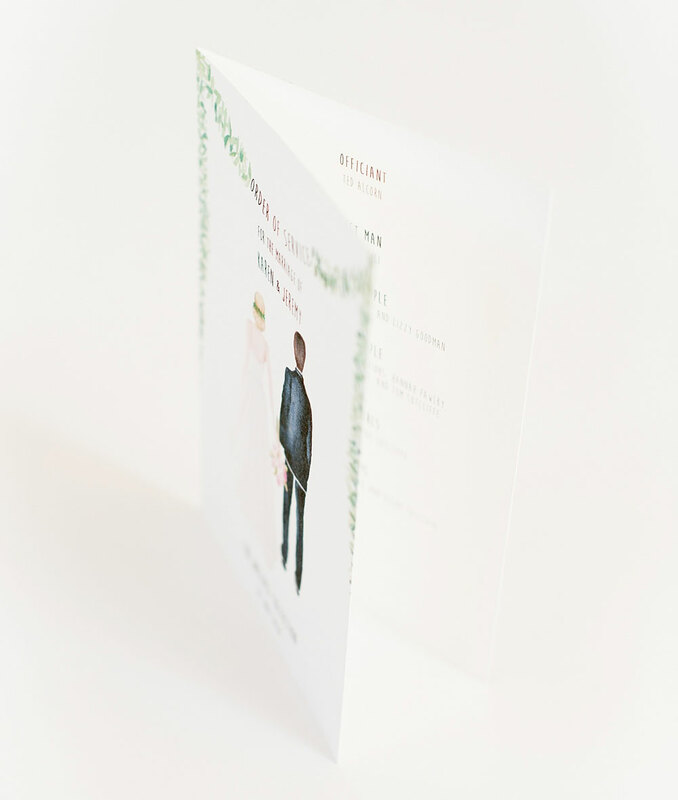 It can be really hard to find proper, contemporary Jewish wedding dà©cor, with Hebrew writing in beautiful, chic typography. That’s why we’re so very grateful for Isra Love on Etsy, a little online slice of Jewish wedding (and gift) heaven that does just that! 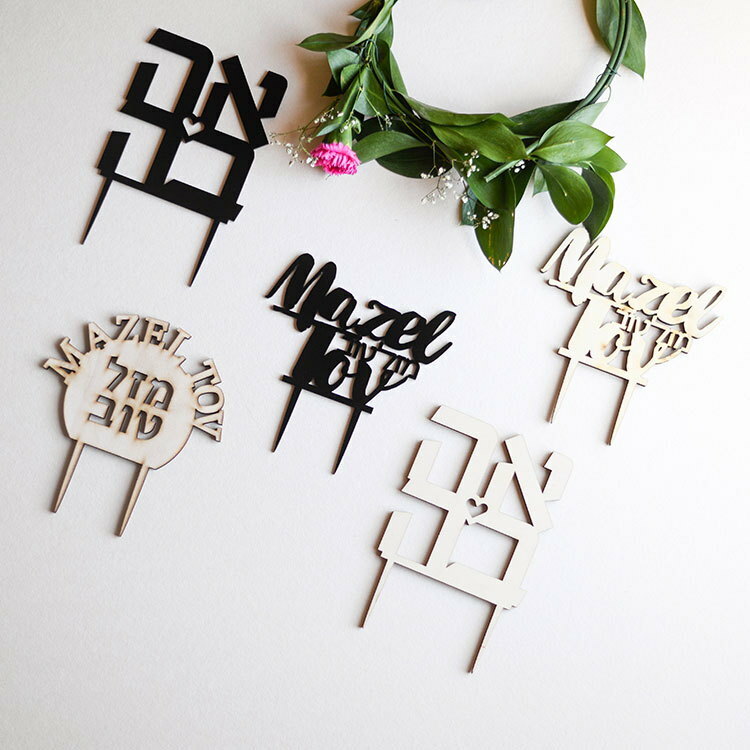 We adore Isra Love’s range of cake toppers, with their messages, both in Hebrew and English, presented in a stunning, contemporary and fashion-forward way. Here are a few of our faves! 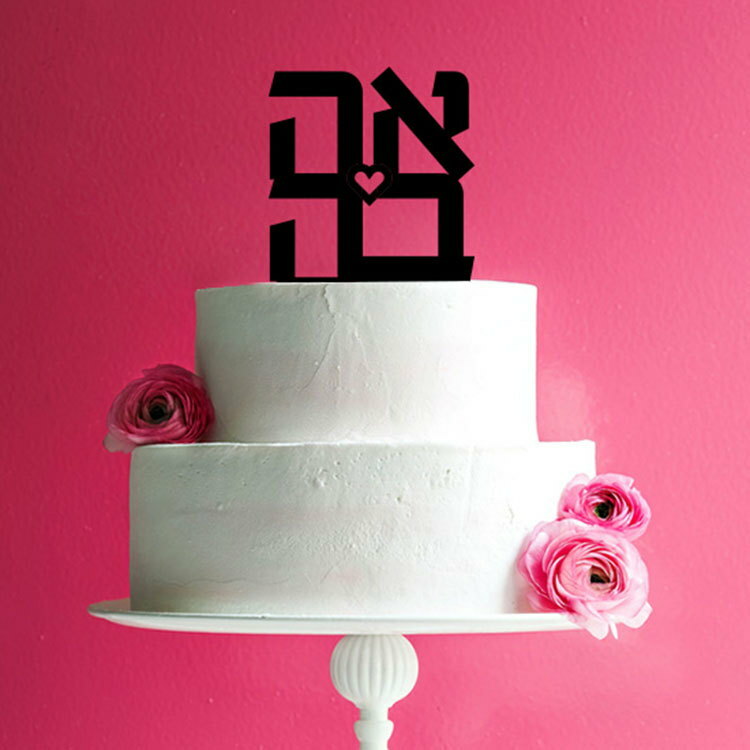 We’re big fans of this adorable ‘love’ (ahava) cake topper. Isra Love’s full wedding cake topper range is available here. 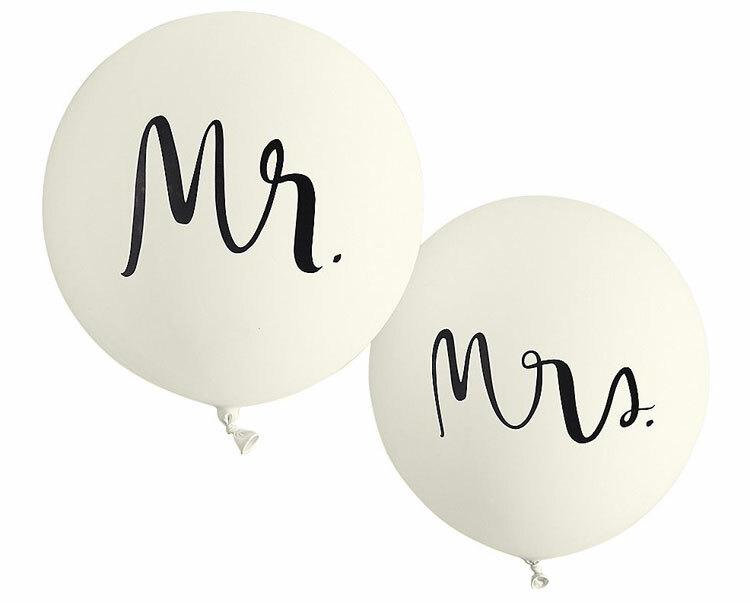 ( 1) We adore this Mr & Mrs balloon set– perfect for pictures and proud place settings for the top table. 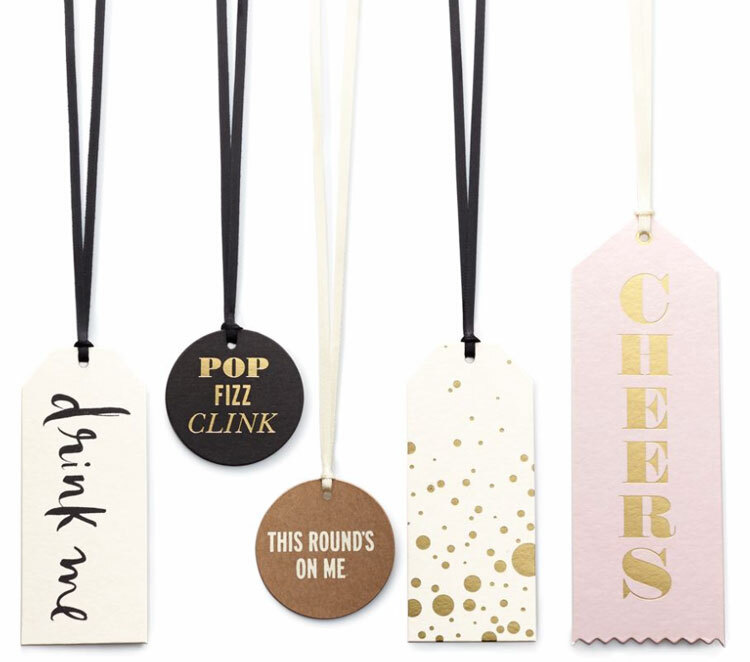 (2) These adorable wine tags would make for some seriously sweet dà©cor details. Absolutely irresistible! 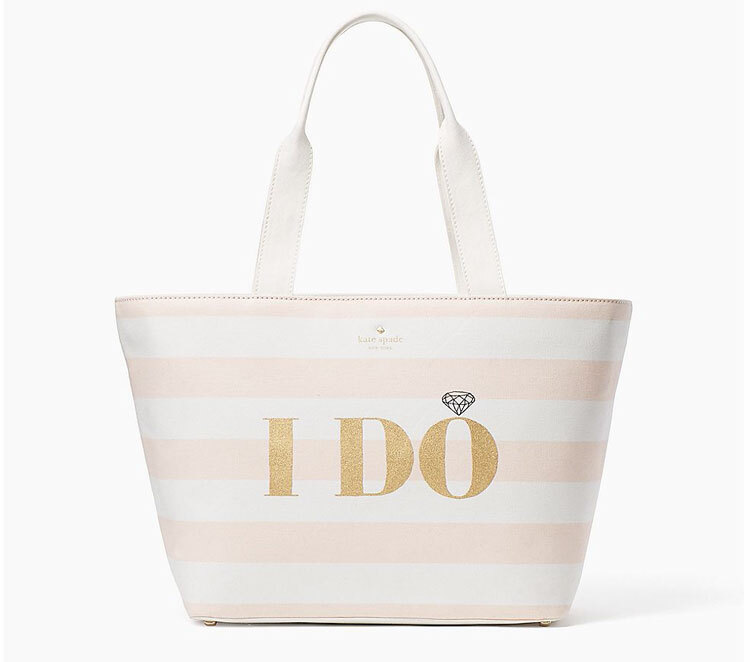 (3) If you’re going to drop shameless honeymoon upgrade hints, then do it in style with this stunner of a post-wedding tote bag for your carry on.